High tunnels are tall greenhouses similar in construction to the low plastic tunnels that vegetable growers often construct over a row of tomatoes or other vegetables to give them a head start in the spring. This concept was expanded to use on a larger scale so vegetables could be grown in high volumes and maintained in the tunnel using large scale equipment. 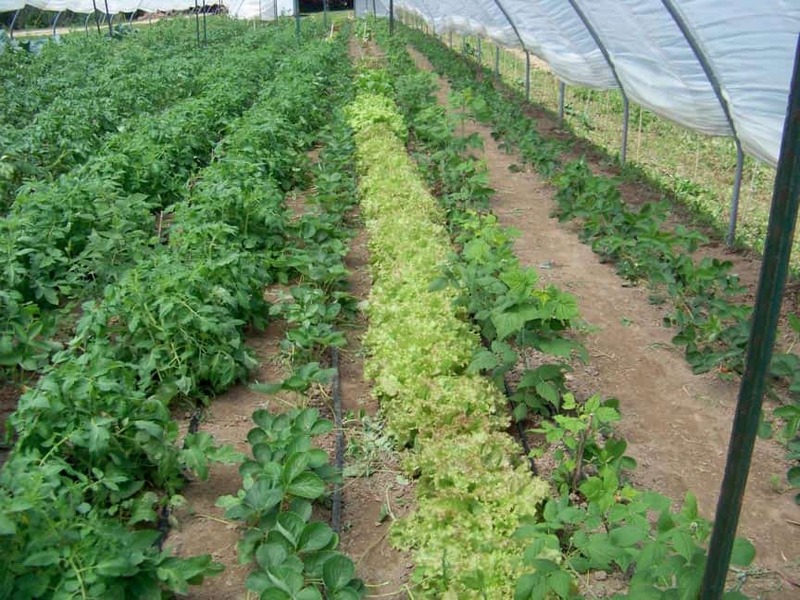 High tunnels are typically tall enough for a tractor to work in. 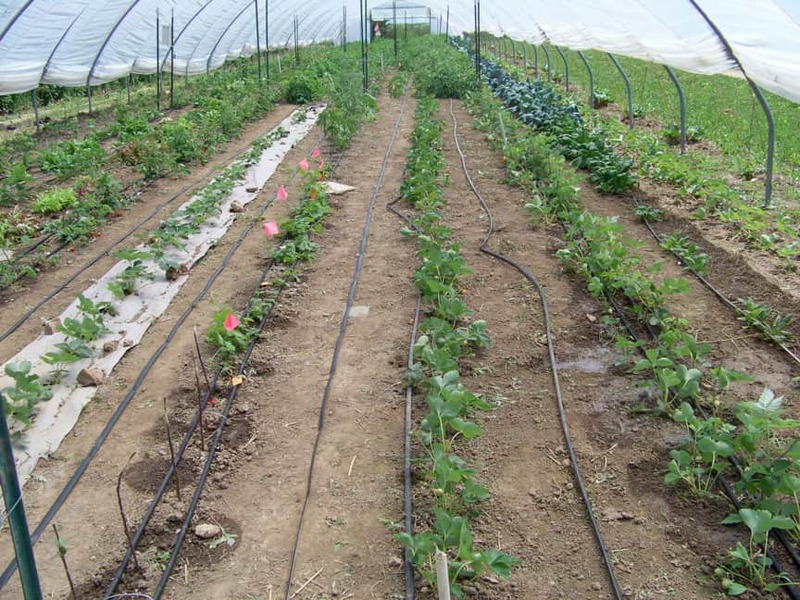 High tunnels are typically unheated and ventilated without power equipment. The sun light heats the interior much higher than the outside temperature creating exceptional plant growth on the inside. Ventilation is typically done by opening then ends and rolling up the sides. The main differences between a greenhouse and a tunnel are that in a greenhouse, plants are usually grown in pots on a table while a tunnel has the plants growing right in the ground as they would in a garden. Greenhouses are typically designed to use heaters and powered ventilation systems or evaporative coolers. Tunnels typically do not have heating systems or cooling systems. We have Haygrove tunnels that are built in the UK. This company was originally a fruit farm that started building their own tunnels to counter the cool rainy growing conditions in the UK. Eventually the success of their tunnels led them to building and selling tunnels all over the world. For more information, visit Haygrove Tunnels. The purpose of our tunnels is to reduce the risk of lost crops from heavy rain and to also start the plants growing earlier in the spring giving us an earlier harvest. In the fall of 2009 we set up tunnel #1. In the spring of 2010 we planted it with strawberries, red raspberries, yellow raspberries, black raspberries, purple raspberries, and a few of the primocane fruiting (fall bearing) blackberries. 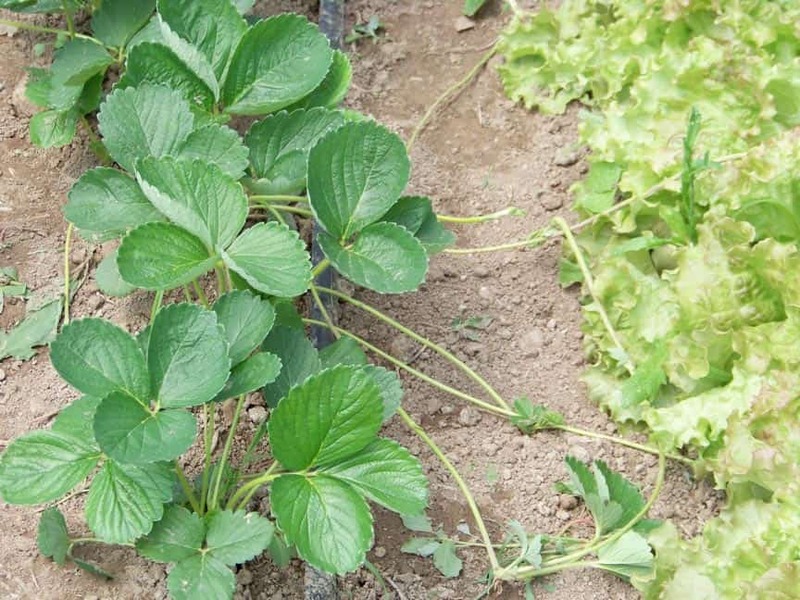 Berries do not produce in their first year and they do not require very much space in the first couple months after planting, so we planted veggies in between all the rows of new berry plants. The vegetables were harvested and removed by mid summer so the berry plants had space to continue to grow. In the spring of 2011 we set up Tunnel #2 and planted it with strawberries, sweet cherry trees on dwarfing rootstock, and the newly released primocane fruiting blackberry called Ark 45. 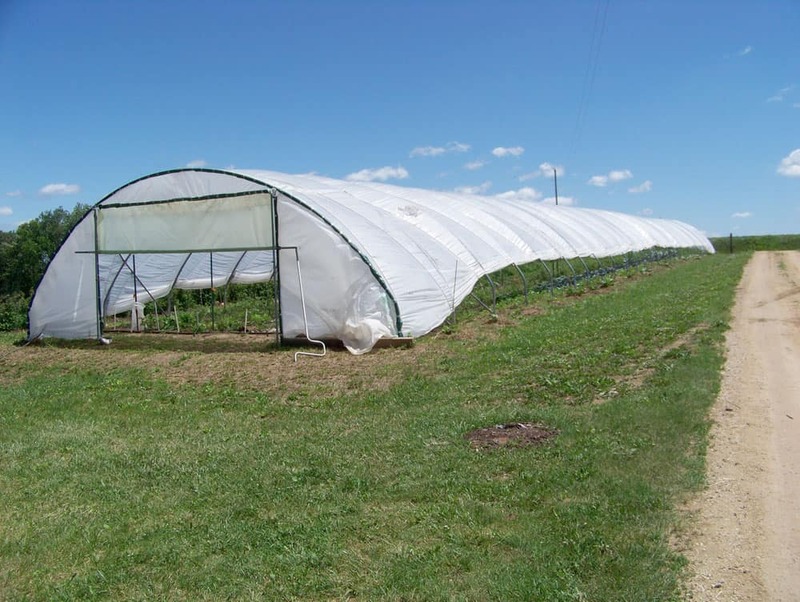 The tunnels help berries ripen earlier and produce fruit later into the fall.